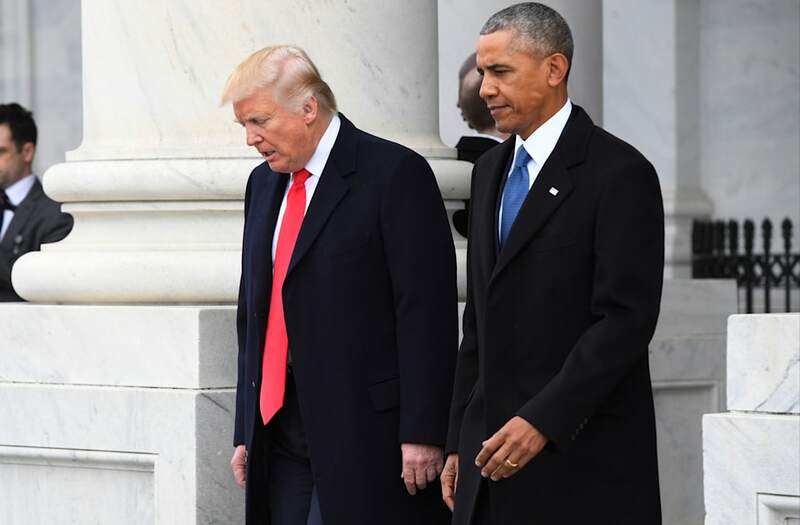 Former President Obama is said to have taken a jab at the new administration by comparing the popularity of his signature health care law with that of President Trump. A recent CNN report states that "Obama noted to an audience in midtown Manhattan that 'the Affordable Care Act has never been more popular — and it's more popular than the current president,' according to a person in the room who paraphrased the comments." The remarks were made on Thursday at a private event. Polls indicate that Obama's statement seems to be valid, with a new CNN survey finding that President Trump's approval rating is at 44 percent while Obamacare had a 47 percent favorable rating. Meanwhile, a recent Gallup survey showed similar numbers for Trump's approval rating—43 percent; in contrast, earlier this month, Obamacare reached an all-time high level of support with 55 percent of respondents backing the law, reports Business Insider. Despite its popularity, the New York Times is reporting that Republicans tried once again to push through an amended overhaul of the policy in time for Trump's 100th day in office, but that effort failed Thursday night. The Freedom Caucus, which had successfully blocked a prior version of the bill, was reportedly on board with the new changes, but others were less supportive. Despite the lack of a new timeline, top Republicans have indicated that they will continue to work on a bill that can pass.